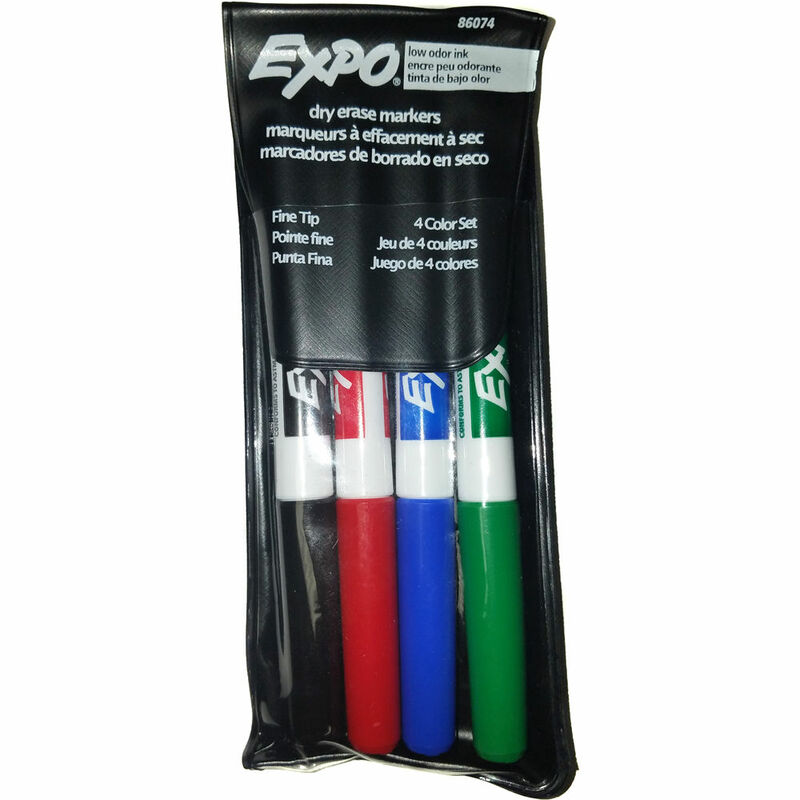 Add vivid colors and pizzazz to your projects in the classroom, office, or home with this 4-pack of Fine Tip Dry Erase Markers from Expo. 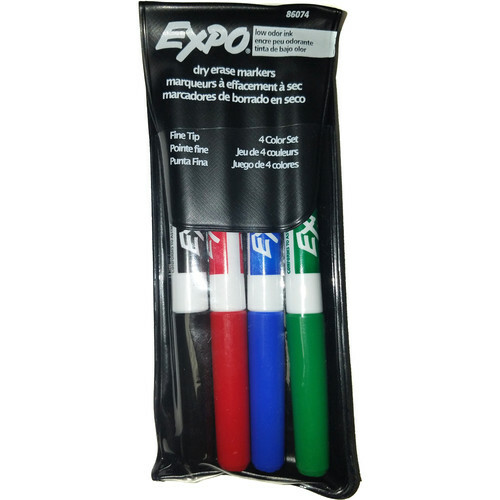 The pack comes with black, blue, red, and green markers. Users will appreciate the low odor and certified AP non-toxic ink. Box Dimensions (LxWxH) 6.2 x 3.85 x 0.45"